HAVE women forgiven Karl Stefanovic? That is the question Channel 9 will be sweating on as it gets set to launch This Time Next Year. The show, which has taken more than 12 months to film, is Stefanovic's first foray into prime time since his divorce from Cassandra Thorburn and new relationship with Yasmine Yarbrough. It doesn't help that Stefanovic's last prime time show, The Verdict, was a dud - one of the worst programs of 2015. And 2009's Random Acts of Kindness, which Stefanovic hosted with Scott Cam and Simmone Jade McKinnon, also underperformed. Today has also been losing ground against breakfast rival Sunrise and many have speculated that it is because of the wave of negative headlines surrounding Stefanovic's split from his wife of 21 years. "Karl can't afford another prime time flop after The Verdict," media analyst Steve Allen told me recently. "His personal travails and the way it was characterised haven't helped. If This Time Next Year doesn't work he could be forever relegated to breakfast television." It is female viewers, in particular, who have seemed most upset for Stefanovic breaking up with Thorburn and finding love with a younger woman. My cup runneth over. Great journos. Great ladies. 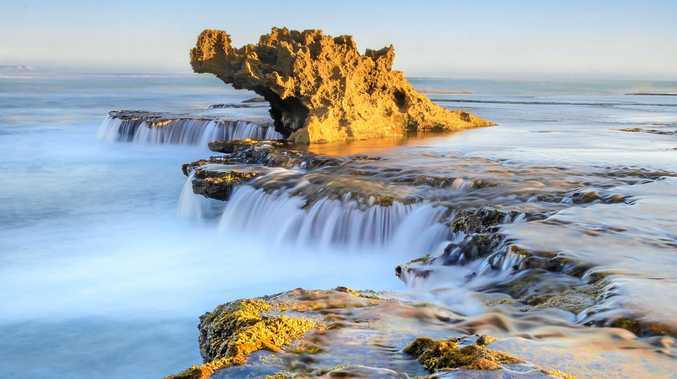 It is the same sort of scenario that cruelled the popularity of Paul Hogan (leaving wife Noelene for Crocodile Dundee co-star Linda Kozlowski), Mel Gibson (splitting with wife Robyn and partnering up with Oksana Grigorieva), and Greg Norman (quitting marriage to wife Laura and hooking up with Chris Evert). Female viewers can't forgive these guys for what they see as wilfully abandoning the women who were there with them through the tough times before they became famous. Excuses of "midlife crisis" are too pat. The Herald Sun's Katie Bice spoke for a lot of women in a March column when she spoke of falling out of like with Stefanovic because "you broke our hearts by breaking up with your wife". You can tell that Nine, and Stefanovic, are concerned about the fallout. Stefanovic's recent decision to grant a tell-all interview to Stellar after months of silence on the matter was presumably a way to try and put things right. In the course of a long interview Stefanovic tried to say all the right things - that he was trying "to improve across the board; to be a better dad, to be a better partner, to be a better son, to be a better brother" and that he and Yarbrough were taking their relationship "really really slowly". 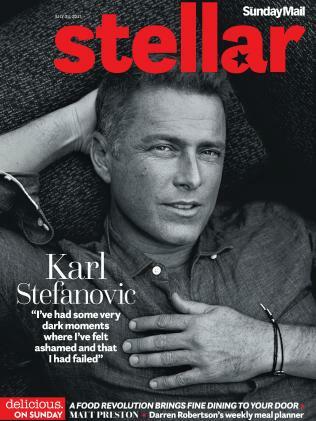 Stefanovic on the cover of Stellar’s July 23 edition. Stefanovic also told of "dark mornings and nights where I've felt ashamed and I felt that I'd failed" and admitted that in the past he had been up himself and "a sh*t person". But will Stefanovic's words wash with female viewers? One thing in Stefanovic's favour is that the success or failure of This Time Next Year will likely be due to its inspiring stories of ordinary Aussies transforming their lives, rather than relying on his hosting. This Time Next Year centres on people who pledge to change their lives in the space of 12 months - finding romance for the first time, having a child, walking again after a crippling injury. The show will play to Stefanovic's strengths as a host. Live television is his forte. He has said he genuinely doesn't know whether the people have succeeded or failed when he sees them a year after their pledge. Another bonus for Stefanovic is that Nine is on a roll after those massive ratings for Australian Ninja Warrior. And the fact This Time Next Year screens straight after The Block which is sure to grab big figures certainly won't hurt. But Nine and Stefanovic should still be crossing their fingers. I think it will take a lot of women years, not months, to forgive Stefanovic. Maybe they never will. That could potentially cost This Time Next Year hundreds of thousands of viewers. Nine, and Stefanovic, will be holding their breath. Colin Vickery is a News Corp national TV writer. This Time Next Year premiers tonight on Nine at 8.45pm.